Asbestos was once known as the ‘magic mineral’. Praised for its resistance to high temperature, electrical and chemical corrosion, this lightweight, fibrous mineral was used worldwide, particularly in construction and building materials. Once the link was made between its toxic nature and our health, it stopped being used in Australian homes after 1980. However, it wasn’t until 2003 that asbestos became illegal to import, store, supply, sell, install, use or reuse. Many were subjected to asbestos-exposure during their job over the long history of asbestos use in Australia. Those who are at risk of developing an asbestos related disease generally have received occupational-exposure and fall into three main risk categories: extreme, high and medium. Meet Jim. He was a mill worker at Wittenoom asbestos mines in Western Australia in the 1950s. He was responsible for packing asbestos fibres into hessian bags once they had been separated from the ore during the dry milling process. Inside the mill, it was thick with asbestos dust created from a series of crushing and vacuum aspirating operations. There was no equipment used for dust suppression and no one in the mill or the mines wore protective facemasks or clothing so Jim was exposed to large doses of asbestos fibres every day for about 4 months. Meet Sam. He worked in construction as a roofer through the ’60’s and ’70’s. Everyday he was handling roofing shingles, asphalt roll roofing, cement roofing and roofing felt. All of these are manufactured building materials that contain asbestos and if damaged release hazardous microscopic fibres that can be inhaled by those working in close proximity. He didn’t wear a protective facemask or clothing and often handled broken material. Meet Andy. He bought a small home in the 1970’s with his wife and three children. After they saved some money Andy decided to build a small extension onto the existing house using fibro cement sheeting he bought from a hardware shop that contained asbestos. One sheet was broken during the build and Andy cleaned it up without any gloves, facemask or protective clothing. Jim, Sam and Andy are fictitious characters representing extreme, high and medium risk category asbestos victims exposed to asbestos fibres. The length of the fibres and the duration and degree of exposure generally determine your level of risk of developing an asbestos related disease. Extreme risk victims mined asbestos or worked in the onsite mills, people like Jim, who was exposed to millions of airborne fibres on a daily basis over a long period of time. 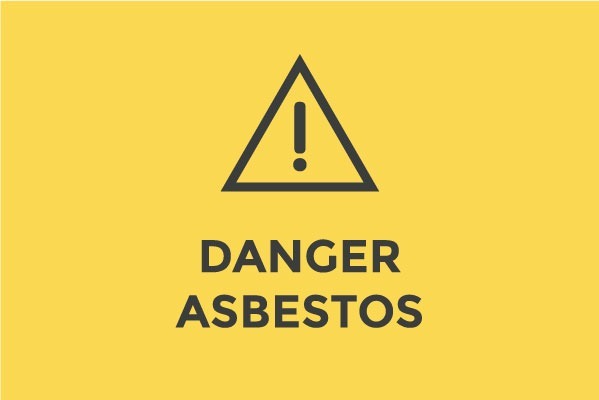 Those in a high risk category – generally tradespeople like Sam – worked with manufactured asbestos and were frequently exposed to hundreds, possibly thousands of airborne fibres. They suffered mesothelioma and other conditions associated with high asbestos exposure, such as asbestosis. Those who are defined as ‘medium risk’ concerning developing an asbestos related disease are people like Andy, who brought it into their homes, mostly do-it-yourself renovators exposed occasionally to a low dose of asbestos fibres while fixing up the family home. In these cases, people like Andy were generally unaware that the building materials contained asbestos or of the health risks involved so didn’t wear protective clothing. Members of the general public and homeowners with undamaged asbestos material are in a low to very low risk category. However, homeowners should engage experienced and licensed asbestos professionals to undertake home renovations and asbestos removal.